We are lucky enough to be here in Masjidil Haram when it is time for Friday Prayer. 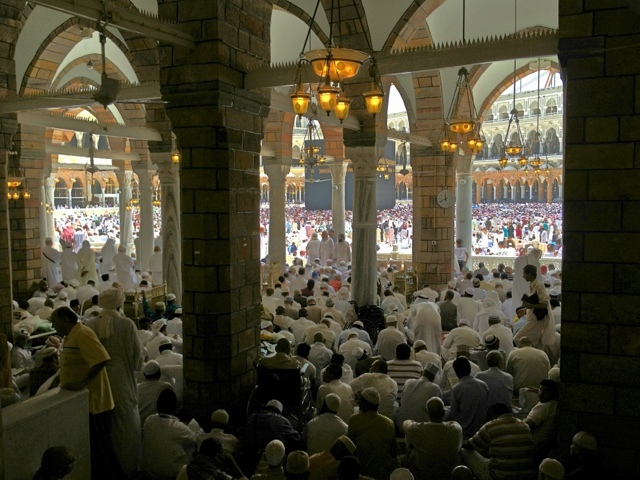 In Saudi Arabia, Thursday and Friday are holidays (their weekend), so in these two days Masjidil Haram is so packed. That’s why we did the Second umroh quite early in the morning. For this Friday prayer, one need to come at least 2 hours before start, otherwise you will struggle to find a place inside. I came 2.5 hours before, and we still got decent place, with holy Kabah in sight. Alhamdulillah.